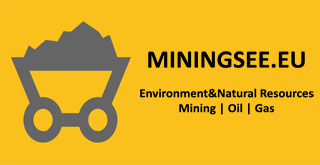 Euro Sun Mining Inc. announced it has filed the National Instrument 43-101 compliant Technical Report for the Preliminary Economic Assessment (“PEA”) for the exploitation of the COLNIC open pit; the initial phase of development of its Rovina Valley Project. The technical report also includes an updated Resource Estimate for the Rovina Valley Project utilizing updated cost parameters and metal prices. The Technical Report, dated April 1, 2019 and having an effective date of February 20, 2019, supports the scientific and technical disclosure included in the press release dated February 20, 2019. Euro Sun announces its updated National Instrument (N.I.) 43-101 compliant mineral resource estimate (“2019 Resource Estimate”) as provided by independent consultants AGP Mining Consultants Inc. (“AGP”), on Euro Sun’s 100% owned Rovina Mining License in west-central Romania. The 2019 Resource Estimate includes the COLNIC, ROVINA and CIRESATA gold-rich copper porphyry deposits, collectively referred to as the Rovina Valley Project (“RVP”). All three deposits are in close proximity and mill feed will be treated at a central processing facility. COLNIC and ROVINA are amenable to open-pit mining and CIRESATA to bulk underground mining. The 2019 Resource Estimate is an update to the 2012 N.I. 43-101 compliant Resource Estimate (completed by AGP) to primarily reflect higher operating costs, new metallurgical recoveries (see Euro Sun Press Release dated 20 September, 2018), and higher metal prices on resource constraining Lerchs-Grossman open pits using appropriate cut-off grades. The geologic model and interpolated block model from the 2012 Resource Estimate are not changed in this current estimate (Technical Report filed on SEDAR in 2012). Mineral resources were estimated in conformance with the CIM Mineral Resource and Mineral Reserve definitions referred to in National Instrument (“N.I.”) 43-101, Standards of Disclosure for Mineral Projects and are considered to have reasonable prospects for economic extraction. AuEq determined by using a long-term gold price of US$1,500/oz and a copper price of US$3.30/lb. These prices are the 10-year trailing averages as of November 26, 2018 plus 10% for copper and 15% for gold. Metallurgical recoveries are not taken into account for AuEq.